Interior Minister and Shas chairman Aryeh Deri on Monday discussed the burning of his picture during a demonstration by southern Tel Aviv residents against government policy on illegal infiltrators. "We do not come there as tourists, to make a round and go. The people closest to us are there. As a child I remember how southern Tel Aviv looked before and how it looks today. As if you have come to another country. " He said that since he began to serve as interior minister, not a single infiltrator entered Israel. "On the contrary, they left in very large quantities. Even this year, when we have a serious problem, thousands have left. There is no move I could have done, legally or otherwise, that I did not do. Whether with the Deposit Law or ... Unfortunately, there are things that are not up to us. We are not the ones who caused the third countries to retract and take down the outline we were leading. "We are in the middle of a big process. 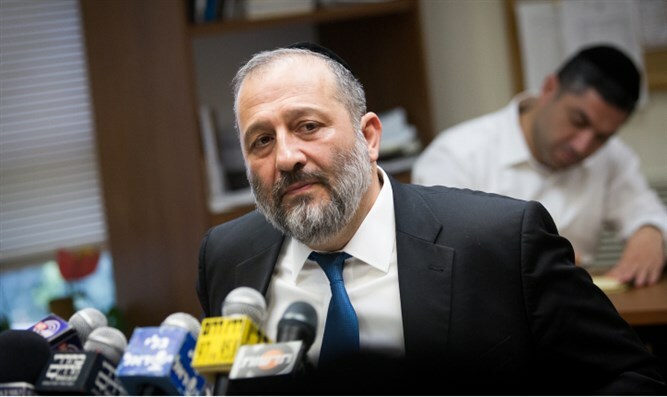 I hope it will succeed and we will be able to open the ideal path without the need for intermediate stations," Deri said, without elaborating on the process to which he was referring.